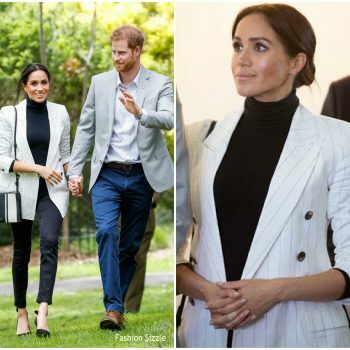 Duke and Duchess of Sussex royal attended Te Papaiouru Marae for a formal pōwhiri (a traditional Māori welcoming ceremony) and luncheon. 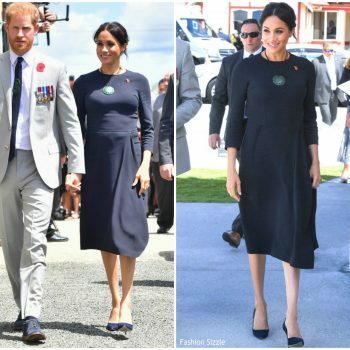 She wore a navy Stella McCartney dress styled by a Kiri Nathan Pounamu necklace . 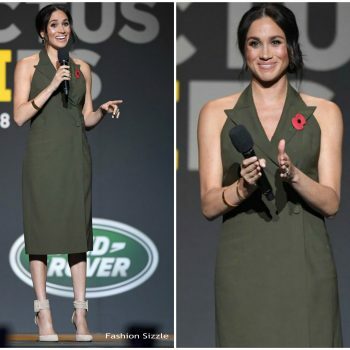 Meghan Markle on (October 26) was in attendance at the Australian Geographic Society Awards in Sydney, Australia. 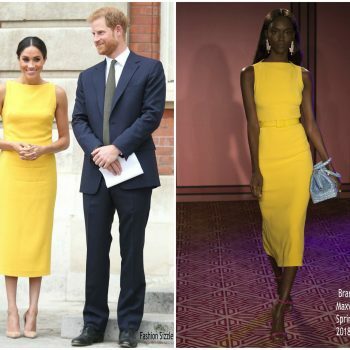 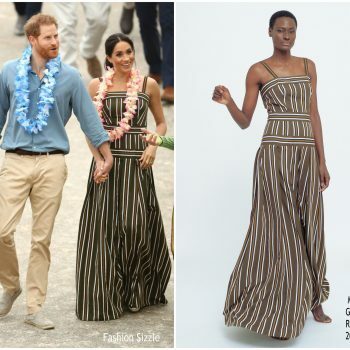 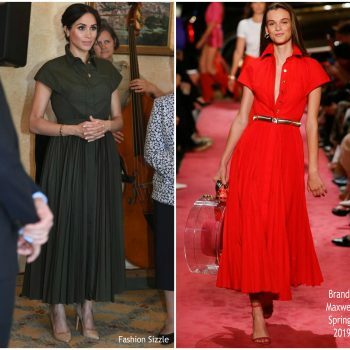 She wore a Oscar de la Renta Pre-Fall 2018 dress styled with her black Aquazzura pumps . 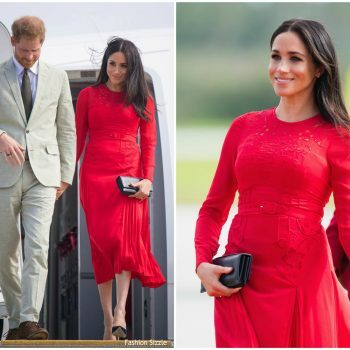 Meghan, Duchess of Sussex (October 25) during her flight to Tonga. 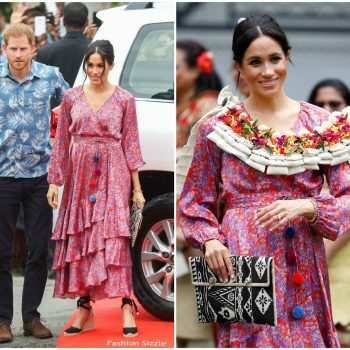 She is wearing red Self-Portrait pleated dress styled with a Tonga’s red and white flag. 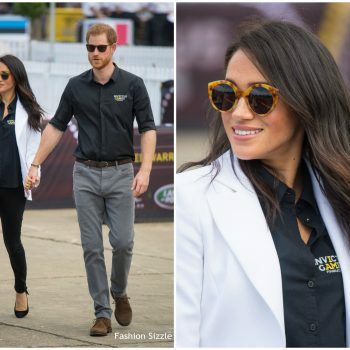 Meghan Markle and Prince Harry attends an official welcome ceremony in the city centre's Albert Park on October 23, 2018 in Suva, Fiji. 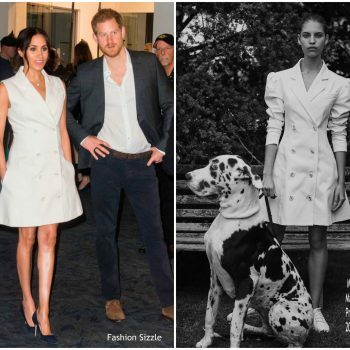 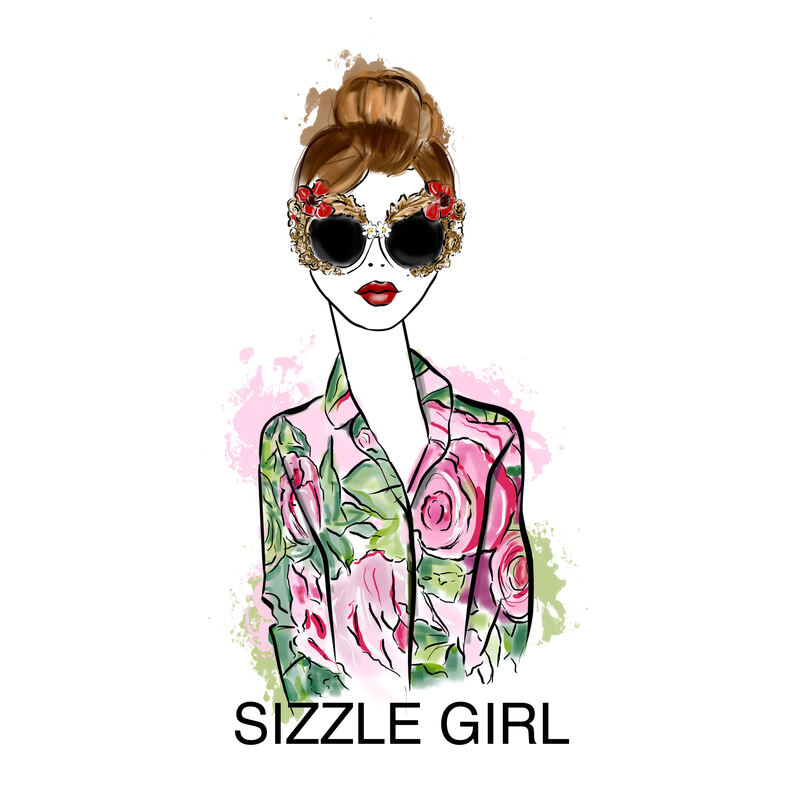 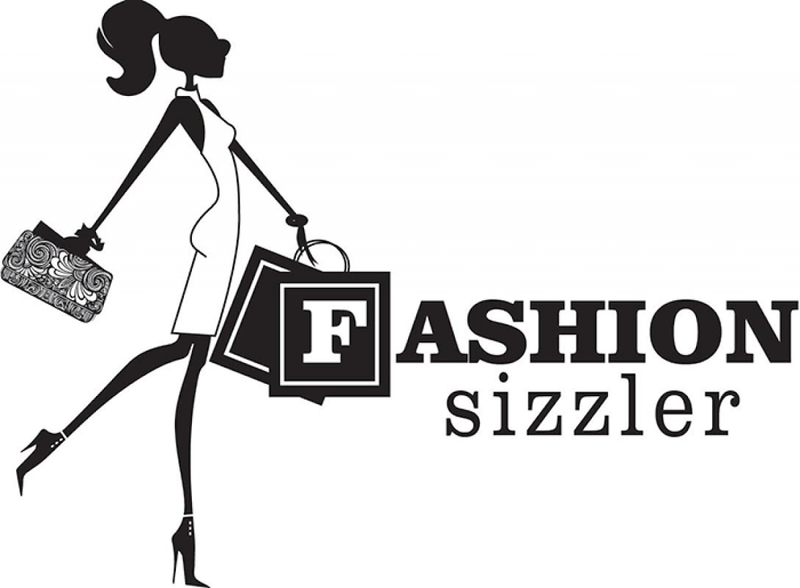 She is wearing a white Zimmermann dress. 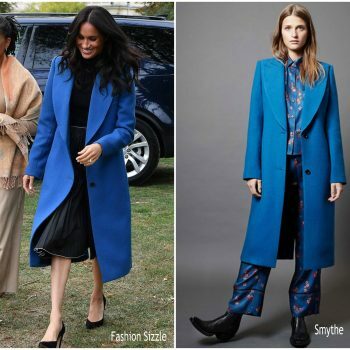 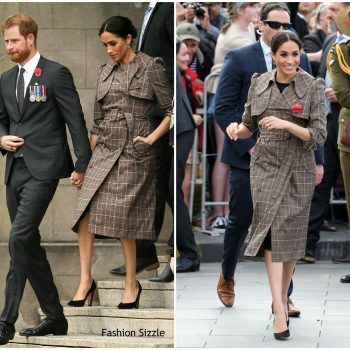 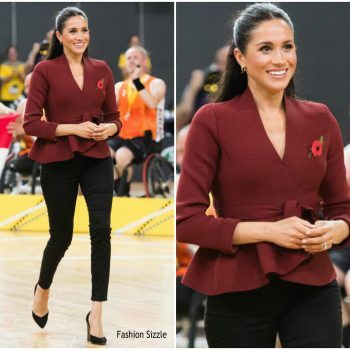 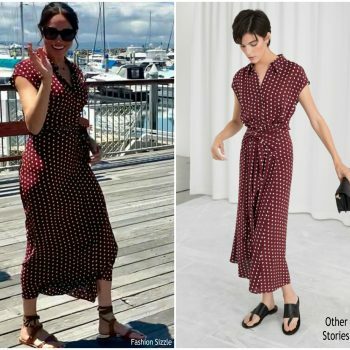 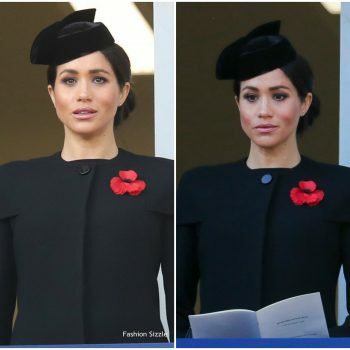 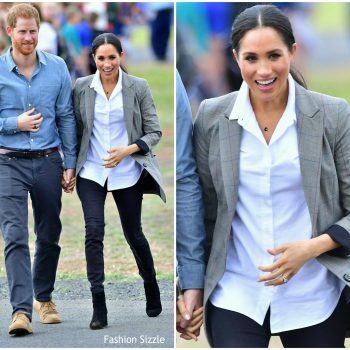 Meghan, Duchess of Sussex was in attendance and visited the Macarthur Girls High School on Friday (October 19). 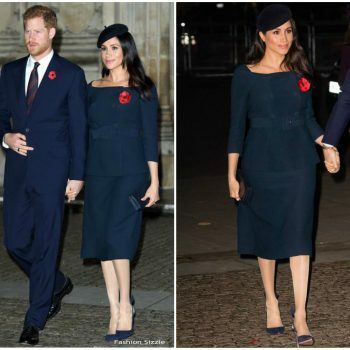 She is wearing a sleeveless navy Roksanda Pre-Fall 2018 dress. 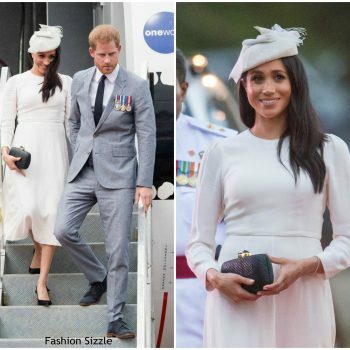 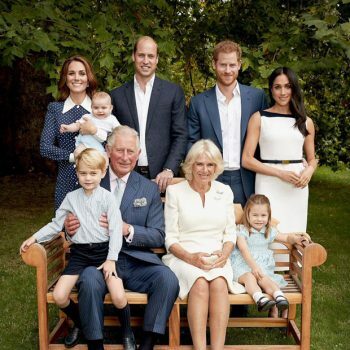 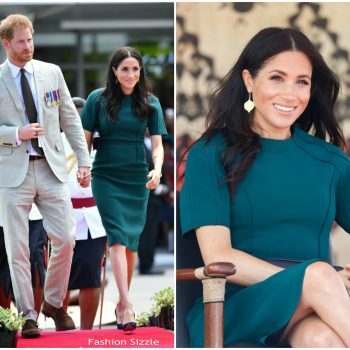 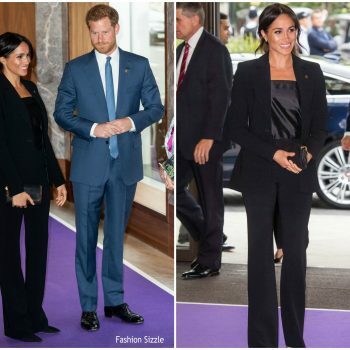 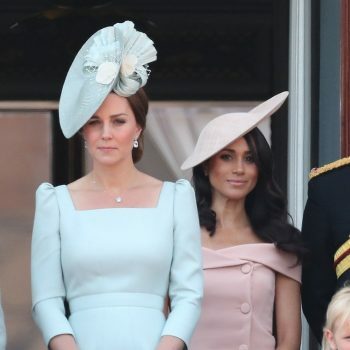 Meghan Markle and Prince Harry attended the Admiralty House in Sydney. 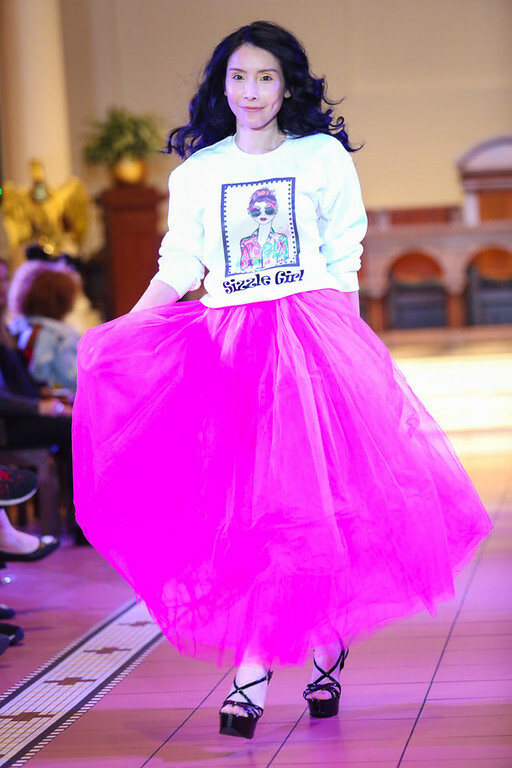 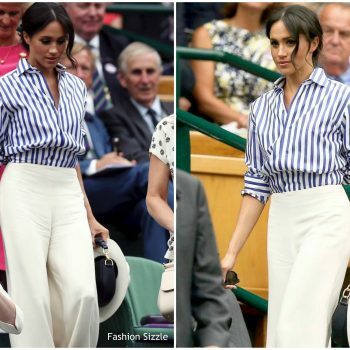 She wore a Karen Gee styled with a pair of Stuart Weitzman ‘Legend’ pumps. 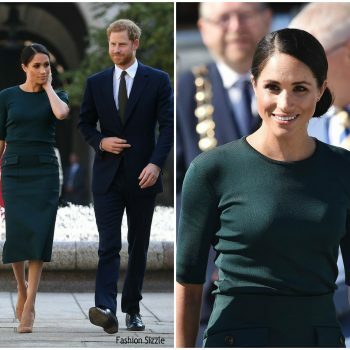 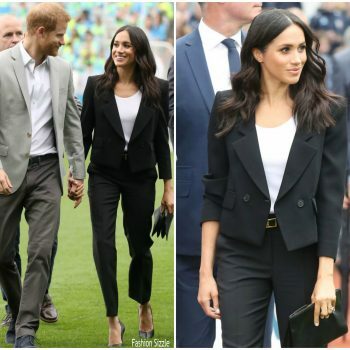 Meghan, Duchess of Sussex visits Croke Park, home of Ireland's largest sporting organisation, the Gaelic Athletic Association, with Prince Harry, Duke of Sussex during their visit to Ireland on July 11, 2018 in Dublin, Ireland.